GREAT NECK, New York, January 11, 2018…United Capital Corp. proudly announces the Grand Opening of the Marriott Orlando Downtown hotel. Today’s ribbon-cutting ceremony marked the official opening of the newest hotel in the Orlando market. 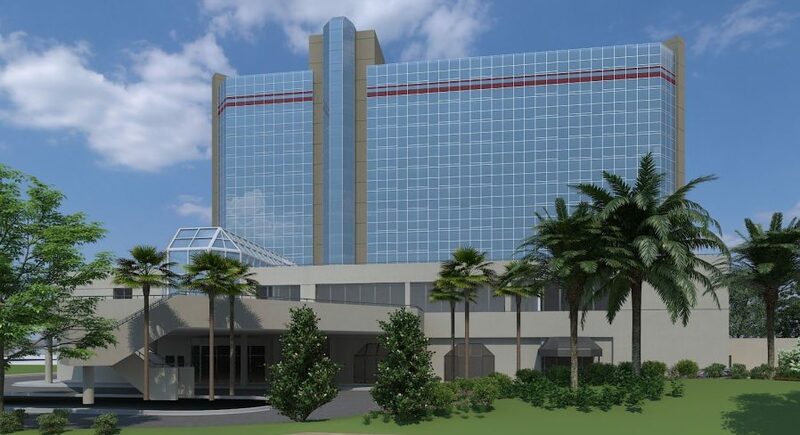 This hotel has been completely redesigned and offers a truly state of the art and modern facility with 297 guest rooms, 16,000 square feet of meeting and event space, the Shade Bar & Grill, a casual gathering place for great comfort fare and signature drinks in a contemporary atmosphere and the only M Club Lounge in central Florida. This property is conveniently located in the heart of Orlando’s business district, walking distance from Orlando’s Amway Center, home to the NBA’s Orlando Magic and numerous entertainment and cultural events and just over one mile from Camping World Stadium, home to the Citrus Bowl and 2018’s NFL Pro Bowl. Certain statements in this press release and other statements made by the Company or its representatives that are not strictly historical facts are “forward-looking” statements within the meaning of the Private Securities Litigation Reform Act of 1995 that should be considered as subject to the many risks and uncertainties that exist in the Company’s operations and business environment. The forward-looking statements are based on current expectations and involve a number of known and unknown risks and uncertainties that could cause the actual results, performance and/or achievements of the Company to differ materially from any future results, performance or achievements, expressed or implied, by the forward-looking statements. Readers are cautioned not to place undue reliance on these forward-looking statements, and that in light of the significant uncertainties inherent in forward-looking statements, the inclusion of such statements should not be regarded as a representation by the Company or any other person that the objectives or plans of the Company will be achieved. The Company also assumes no obligation to publicly update or revise its forward-looking statements or to advise of changes in the assumptions and factors on which they are based. © 2019 United Capital Corp.